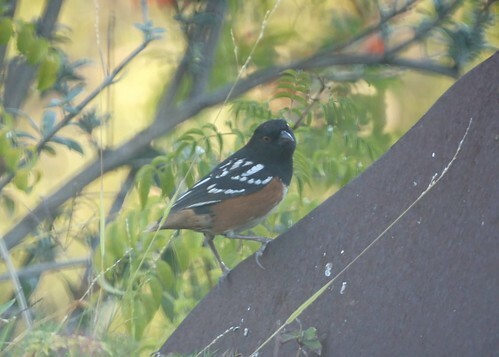 We have several spotted towhees visiting our yard. Recently, we noticed one is missing its tail feathers. Is probably narrowly escaped an attack, perhaps by a cat. 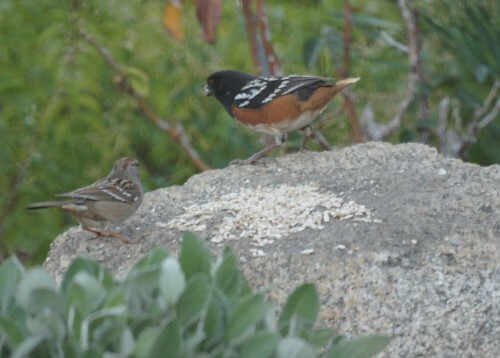 While it can fly, it doesn't go as fast or as far as the other towhees.